Home › Film › Godkiller Review: My God Does His Blood Taste Fantastic! 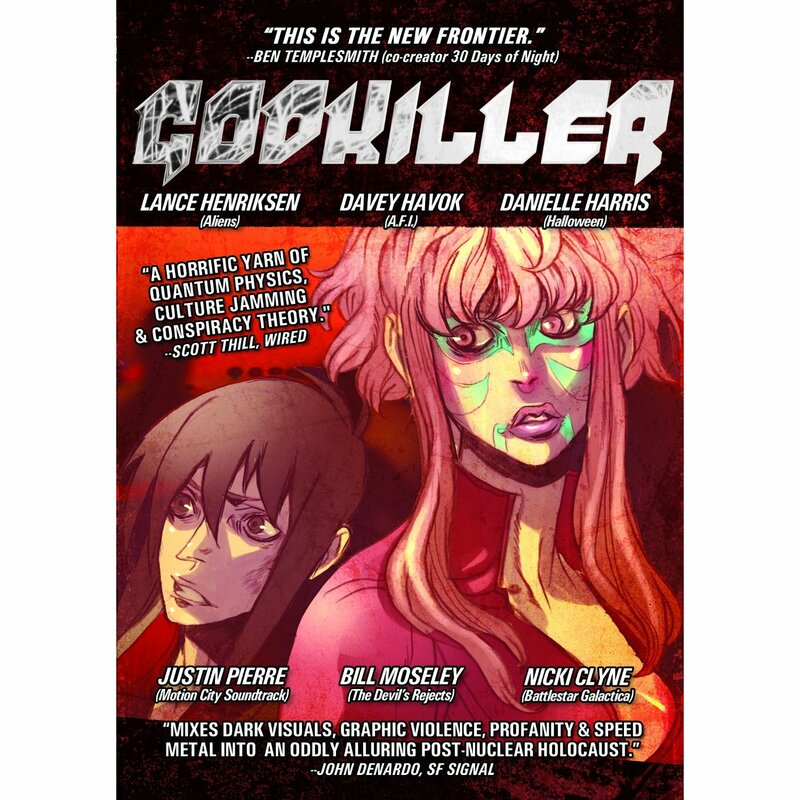 Godkiller Review: My God Does His Blood Taste Fantastic! There comes a time in every media hoarder’s life when they learn the cold truth that something has eluded them. It does not matter how hard you try to keep up with publishers or distributors, no matter how often you check Amazon, there will always be some new upstart company created to solely market one independent property. That laser focus visage that I have trained for years still left certain things undetected. It pains me to say this but, I had never heard of 2009’s Godkiller: Walk Among Us before it was recently introduced to me. 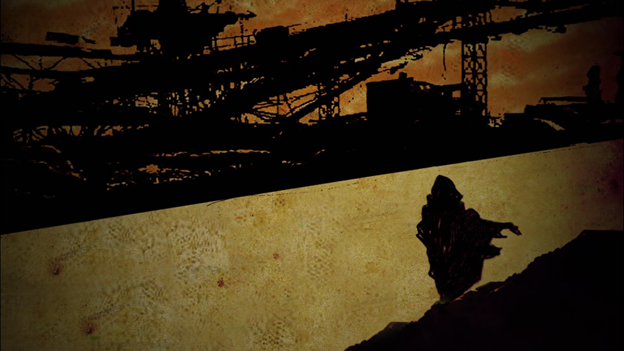 In the world of Godkiller, tan brown skies illuminate the remnants of nuclear war, shot-up and bombed-out oppressed city complexes, hints of alien invasion, and finally what is not actually visible in the common form, but can be interpreted by the masks worn by those who inhabit poisoned air. The region we find ourselves privy to is broken into two parts: the Inner City protected by the totalitarian of the Republic, and the Outer City filled with outlaws, corpse harvesters, and prostitutes galore, existing as a Hell on Earth for the young children of the Inner City. The cultural lines are drawn tight, but who is really living the better life? Tommy Stark is a perfect case example of someone who longs for something more than the restricted existence he has as a fifteen year old living in the Inner City. An avid reader of a local comic entailing the lives of the ascetic individuals known as The Burnt, Tommy goes as far as to hot iron part of his face just to be like these seemingly fictional heroes. Actions like these cause only problems for Tommy’s shrink Dr. West, a struggle that leads to Tommy escaping from the Inner City that he knows is out to get him to the Outer City. His actions are not solely charged by his own wants for he is also out looking for a replacement heart for his younger sister Lucy, who has been in a hospital wing for a long time now. Tommy will discover that the world outside of the Inner City is more dangerous than ever imagined. Yet all will change when he meets an elderly magic user named Mulciber and his prostitute/organ harvester (just understand that almost everyone is a mixture of at least two of the three jobs stated earlier) assistant Halfpipe; all while a fallen god named Dragos keeps in his clutches on an object that Mulciber wants more than anything, the Nibiru Box. The film’s Science Fiction is an interesting blend of pseudo-logic and a mix of magic. We have the usual GPS chips implanted into Inner City residents’ bloodstream similar to Logan’s Run, inhibitor rings that limit the wears’ magical control that also work as a mark of being some else’s property, and a certain level of advanced cybernetics. To a degree that I am both familiar and unfamiliar with, characters like Mulciber parallel the scientific contention with the magic that they are capable of welding; invisibility for instance is just training the mind to allow light particles to travel through one self. While I recognized some of the techno-babble right off, others I felt were refreshingly new. 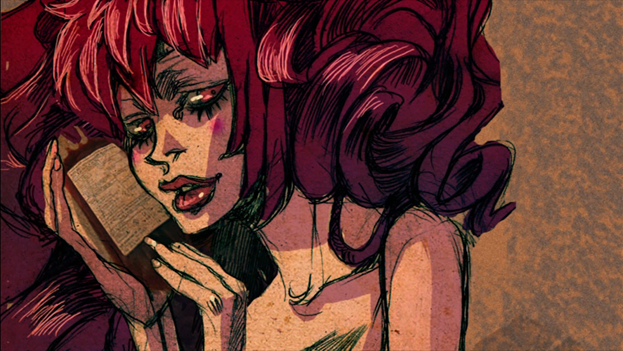 Godkiller’s claim to fame is that it considers itself to be the artsier form of Motion Comic called Illustrated Film; you get used to this unique style of animation and there is no problem. 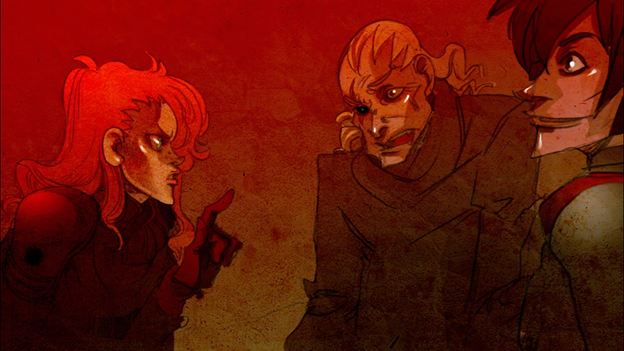 On the DVD there are downloads, files to be extracted, one of them is the first three chapters of the comic drawn by an artist named Anna Muckcracker, to which Godkiller just takes the comic’s like panels as storyboards and animates them. As I would say with any comic that I have written about previously, there are times when Godkiller looks picture frame or computer background gorgeous, but then distractingly off model. 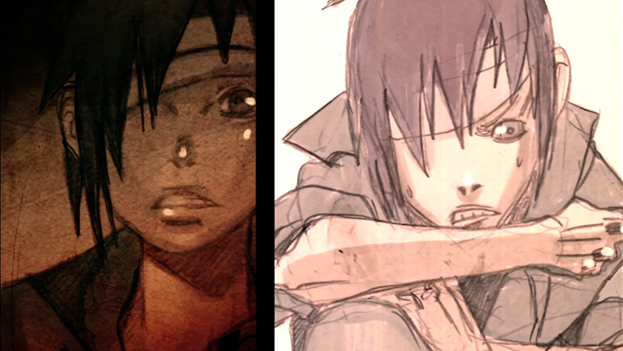 Those are the trials of both animation and visual mediums in general. Pros: Visuals distinctive not just thematically but scientifically as well. Tommy and Mulciber are both well voiced and are in general funny likable characters, which is impressive considering that I usually hate teenage character like Tommy. At its best, Anna Muckcracker’s art is just beautiful. Cons: Relies heavily on Pizzolo’s multi-platform narrative that might push people away. A badge of honor of Illustrated Films listed on the back of the box is the use of “dramatic voice performances”; considering that I rewatched Godkiller with my girlfriend who knows about and is used to voice acting as much if not more than I am. We could pick up that live action actors and musicians doing character’s parts were not the best idea. The performances outside of the two stated earlier (most of the cast is plastered all of the cover) was a jabbing reminder that voice acting and live action acting are two different skill sets, leaving many of the vocal points practically comedic since much of it reeks of heavy punk/dark undertones that I would have loved whole heartily as a nerdy fifteen-year old, but less so now. I personally live to discover works like the oddly available Godkiller and companies like Halo 8 not only because they evoke elements that I like, but they are trying their hands at something new. It might harken back to memories of youth that you are thankful were usually mediated with the need to talk about the Star Wars EU, but it is nice to be reminded from time to time. It slips at the moment to become cinema platinum, but that does not mean it is any less gold. Review copy provided by friend of CTBF Cameron Kinney.